A belated happy birthday Lucia! 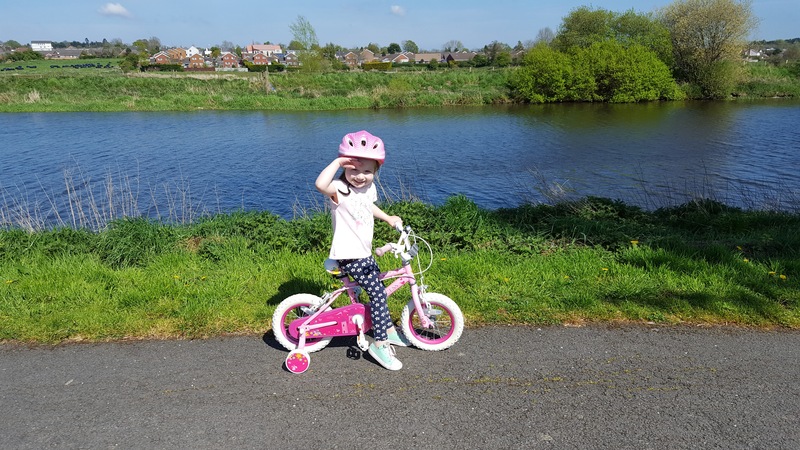 A very happy 5th birthday to our gorgeous little lady – and I’m sorry this post is exactly one week late! I always put up a happy birthday post for Lucia, but this year, life kind of got in the way. A few days before her birthday our poor Max broke two bones in his arm and had to have surgery to get them straightened out. Thankfully he is now doing really well. 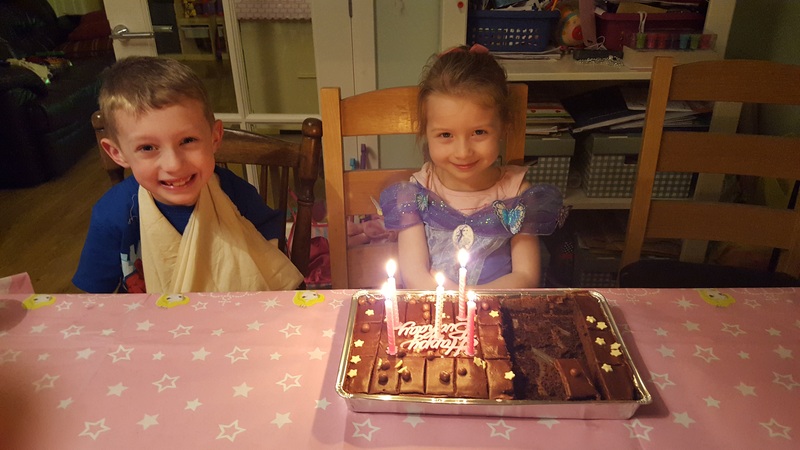 We also still managed to have a birthday weekend for Lucia and she had the best time at her three parties! A princess one with a few of her little friends and two family birthday parties. For weeks she had been so looking forward to being a big 5…and now she is. So, although it’s a week late – happy birthday to our beautiful girl. You make our hearts sing. With our broken armed boy and a half eaten cake! 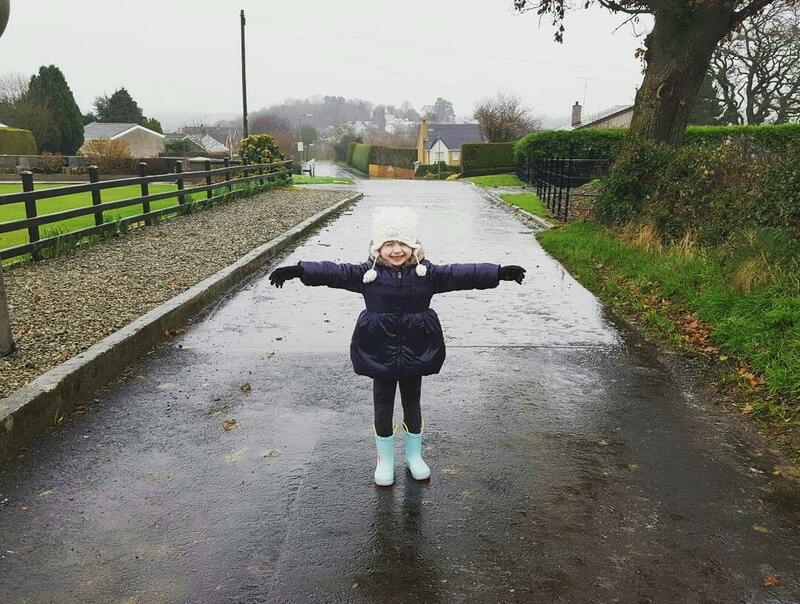 Playing in the rain! The most fun a four year old can have! I was doing a bit of reminiscing the other day and flicking through old photos of Max and Lucia when they were little babies – and mostly feeling complete disbelief that they are now eight and almost five. It feels like I have blinked and all of a sudden they have grown up so much. 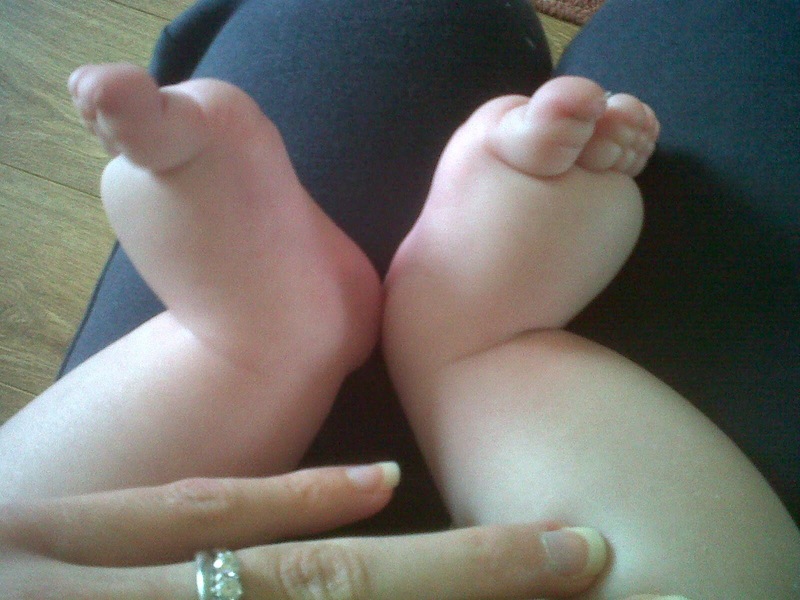 But aside from my heart having a little weep at the speed of time, I was also looking at photos of Lucia’s tiny feet and legs in those first months of her life and feeling a little bit sad, but also marvelling at the difference between then and now. When Lucia was born the doctors noticed she had ‘puffy legs and feet’, but at that moment and for the first 12 hours of her little life we didn’t give this a second thought, as it was assumed this was just because of the way she had been crunched up in my tummy. You can read the rest of what happened next here. Looking back at just how swollen both of her little legs and feet used to be brings back memories of the fear and uncertainty we had back then as to what could possibly be wrong with our perfect daughter. Was it life threatening? Was it connected to her heart? Or her kidneys? Would she be able to walk? Was it forever or would it sort itself out as she grew? So many questions until we go her diagnosis – and then a million more questions after that (and what feels like a million more everyday still). It brings back the memories of nights I spent in tears feeling so helpless and wondering why or how this had happened. Trying to do some research on the internet which just made things worse. There’s only so many times you can read chronic, incurable, progressive before it really starts affecting you. So Daryn banned me from googling. I also have very vivid memories of when our little nephew was born – two months after Lucia – and going to visit him in the hospital. He was so beautiful and we were so happy to meet him. But when we left the hospital I couldn’t stop crying because seeing his ‘normal’ (I hate to use this word, as what is normal?) feet and legs really made me realise just how swollen Lucia’s were in comparison. When we were holding and cuddling Lucia all day and night her feet and legs were ‘normal’ for her and to us. Over time they probably didn’t seem just as swollen in our minds because they were our beautiful little girl’s feet and legs – plus we were so busy parenting a three year old and a newborn, our exhaustion probably helped us forget at times. But seeing Seth that day really hit me quite hard and made me realise that actually, there really was something quite wrong. It was only a month or two after this though that we found Lynne, our therapist, and we had someone we could talk to about things rationally, we began to understand this condition better – though we are still learning everyday – and were able to try and get some control over it rather than the other way round. And I think, so far, we are doing an ok job. Those photos show just how far we have come in her almost five years of life. How her swelling has changed. 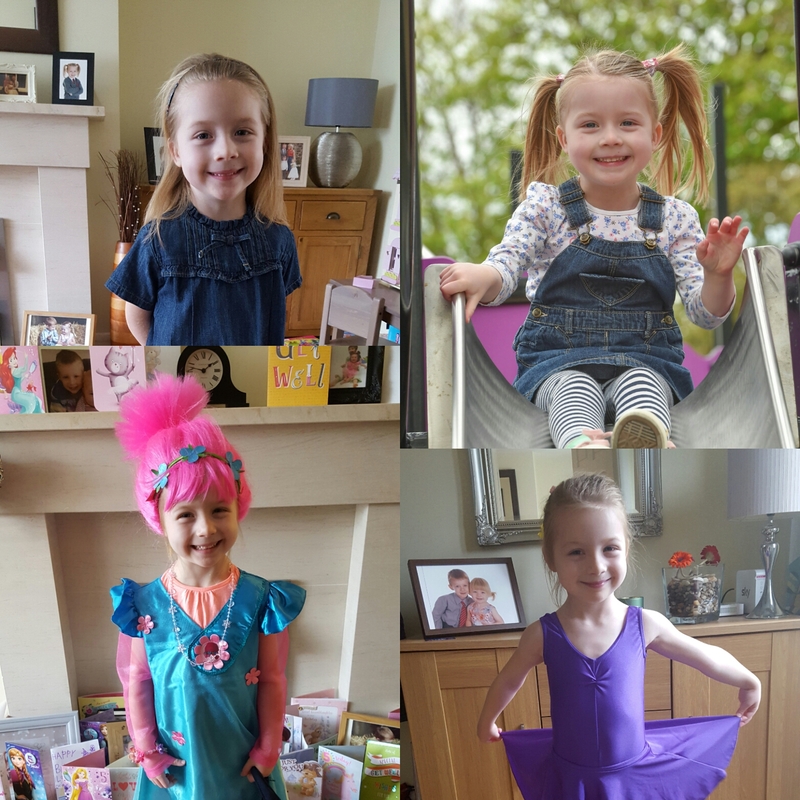 How we have grown in confidence and how we are learning (still everyday) to manage her Lymphoedema. 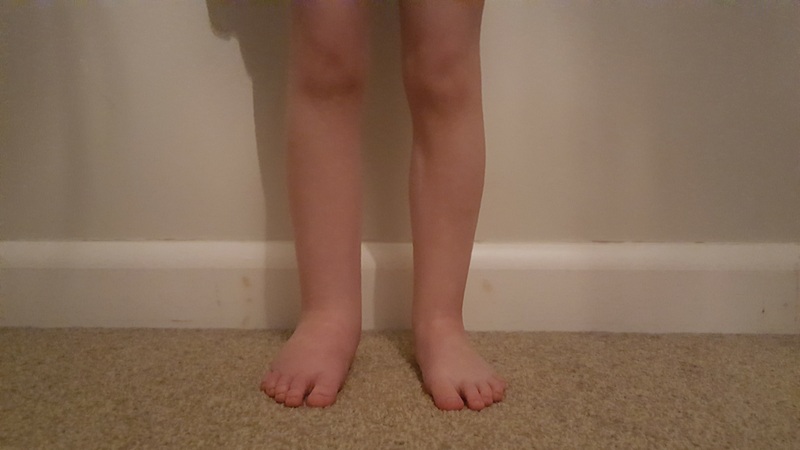 It is interesting to see how her swelling has manifested more in her right leg and foot than left, especially considering the swelling was equal in both sides when she was a baby. We have spent hours, everyday, since Lucia was only a few months old caring for her Lymphoedema to the best of our ability, to try and ensure we maintain it and slow the progression. Seeing her walking was an amazing milestone at just over 18 months – as we honestly didn’t know how she would manage some days given the fluid on the soles of her feet. Now I feel like I spend half my time shouting ‘don’t run!’. The first time we got her shoes was a massive deal – she was almost two years old meaning although she’d been walking for months in the house, we had never been able to get her outside. We are very thankful for Converse as without them I don’t know what we would do! 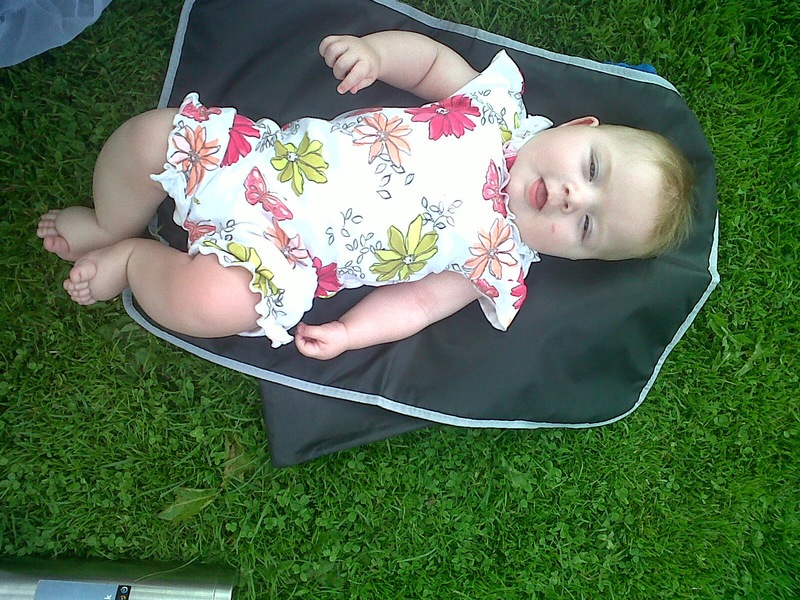 (And Matalan where we managed to get her a little pair of boots thanks to a recommendation from a fellow lymphie mum). She is wearing compression. This was a huge step for us as we knew when we started down this path it would be for the rest of her life. But it is one of the best things we could have done for Lucia. Compression has transformed our little girl’s condition and is such an important part of her everyday treatment. We came across the Physio Touch machine – again an integral part of Lucia’s daily treatment and we wonder how we coped without it. This machine gives us more control and confidence over her condition everyday. Read more about this here. She is at school and loving it. She is teaching the school, her teachers and her friends about a condition they knew nothing about before meeting her. And she takes it all in her stride. She gets extra assistance to ensure her compression garments are at optimum fit all day, at the toilet and supervised outside to ensure she is safe – and she comes out happy (but tired!) each day. She started ballet class – and seeing her beaming while she performs her dance moves each week makes our hearts sing, as again, this is something we weren’t totally sure would even be possible. You can read more about her love for ballet here. She is getting on with living and loving her little life – despite having a not very nice condition. She can be very matter of fact about it if people ask which makes us so proud as she doesn’t consider it as a big deal. It is just part of her. Yes she may tire more easily, find some things slightly more difficult, need a bit of extra help in her care and daily treatments to ensure all her needs are met – but she accepts all of this and just carries on. She is amazing. Inspiring. Strong. Fiesty. Stubborn. And she never gives up. As she said to me one day: ‘Mummy, I have Lymphoedema but I can do anything.’ Oh yes you can my girl, oh yes you can.